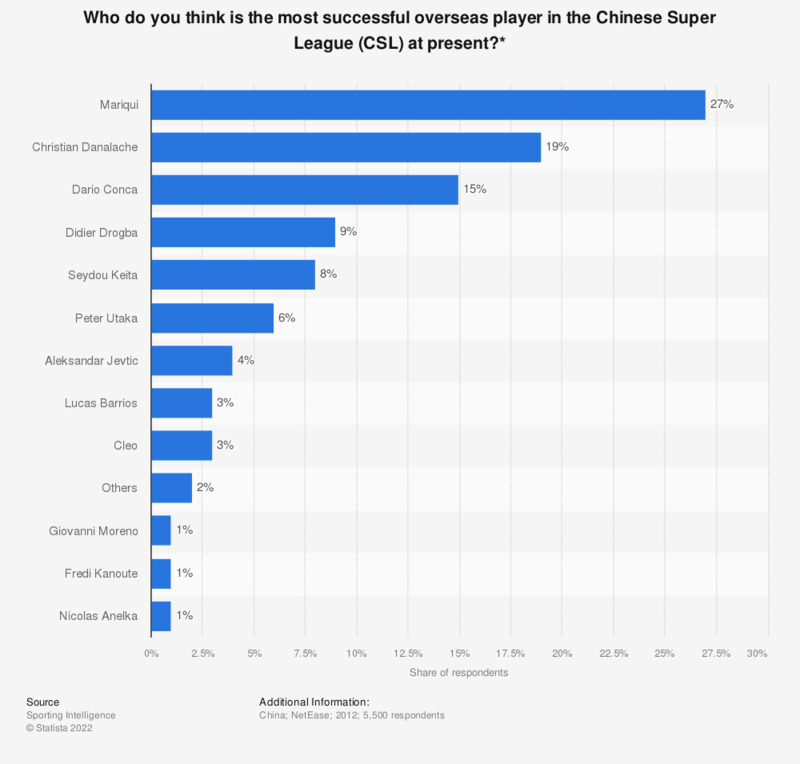 The statistic shows the distribution of responses about which foreign player the survey respondents regard as the most successful in the Chinese Super League. 15 percent of respondents said that Dario Conca was the most successful overseas player in the Chinese Super League. * The source does not provide detailed information regarding the date of survey and type of survey.